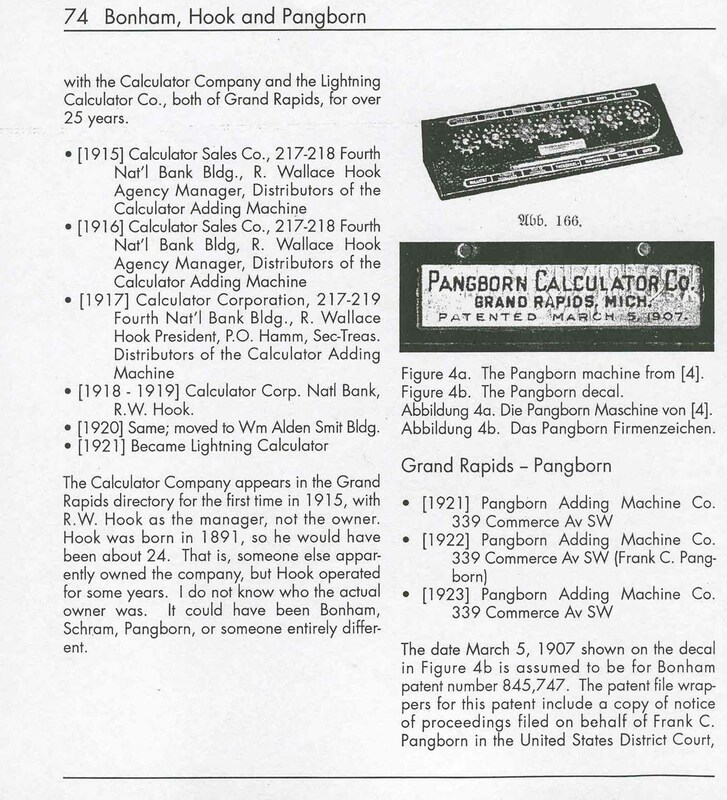 Terry Smallwood claims in  that The Calculator Corp. of Grand Rapids Mich. purchased the patent for that Pascaline calculator from my great, great Uncle Duncan Smallwood who invented and patented it in 1926 in Oakland, CA., but no evidence nor reference to a patent number is given. Nevertheless a quite identical calculator has been produced by The Smallwood Calculator Co., Oakland (California). By the other hand, Martin 1925 wrote that this machine was already produced in Grand Rapids, by the producer of The Calculator. Diese Seite wurde bisher 2357 mal abgerufen. Diese Seite wurde zuletzt geändert um 18:01, 25. Sep 2015.